“We do not stage and wait for SWAT, we do not take cover in a parking lot, and we do not wait for another agency. We go in and do our duty. We go in to engage and stop the shooter and save lives,” Murphree wrote. “All commissioned Deputies if you respond to an active shooter, you are expected to take immediate action,” Murphree added. 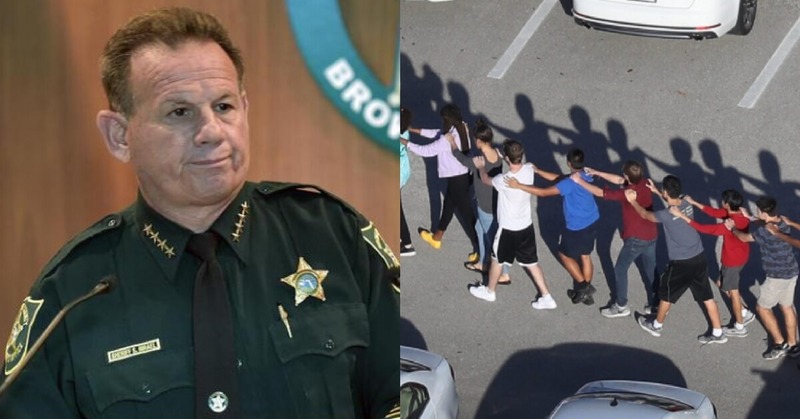 Broward County Sheriff Scott Israel is currently investigating why Scot Peterson, the former Marjory Stoneman Douglas High School, failed to act as gunman Nikolas Cruz shot dead 17 people in Parkland, Florida. Last Friday, Marjory Stoneman Douglas High School senior Brandon Huff told WSVN that Broward Sheriff resource officer, Scot Peterson, hid behind a staircase while pointing his gun at “nothing” as gunman Nikolas Cruz shot dead 17 people. The U.S. State Department indicated on Tuesday it has been an ongoing concern that North Korea could sell chemical weapons to the Assad regime in Syria as it seeks to develop its nuclear and ballistic missile weapons program. A reporter asked spokeswoman Heather Nauert about media reports that first came out on Tuesday concerning a forthcoming report from United Nations experts that indicates the North Korean regime has been shipping supplies to Syria. Nauert told reporters the United States has been concerned the regime may be driven to such measures because of the country’s desperate economic conditions. 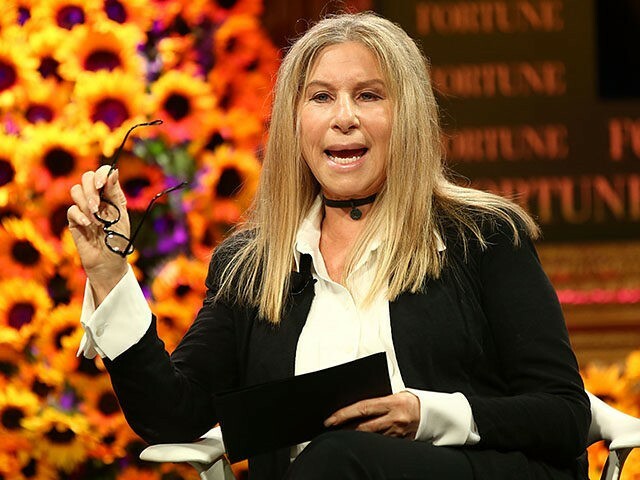 "This is something that the United States has had concerns about for quite some time, that North Korea–especially as North Korea becomes more desperate–that they look for different, creative, and horrific ways to try to make money to fund their criminal regime," she said. Nauert said if the regime is selling chemical weapons materials to Syria, it demonstrates why the United States will not engage in talks with North Korea until the hermit state agrees to rid itself of its nuclear weapons. "If they are selling goods, material, whatever you want to call it, to Syria, it shows the depravity of that regime, and that is exactly why we stand so firmly behind our policy of denuclearization," Nauert said. Bashar al-Assad’s forces in Syria, supported by Russia, have used chemical weapons on civilians in multiple parts of the country during its ongoing civil war. Earlier this month, Nauert called out the Russian government for enabling Assad and indicated Assad’s forces had used some form of chemical weapons on the Syrian people "six times in the last 30 days." The post State Dept: We’ve Had Concerns for ‘Quite Some Time’ North Korea Might Sell Chemical Weapons to Syria appeared first on Washington Free Beacon. Fox News contributor Sara A. Carter reports the Broward County State Attorney’s office is currently investigating more than 66 cases of misconduct under embattled Sheriff Scott Israel. There are more than 66 investigations by the Broward County State Attorney’s office into Broward County Sheriff’s deputies and employees, ranging from drug trafficking to kidnapping since 2012. 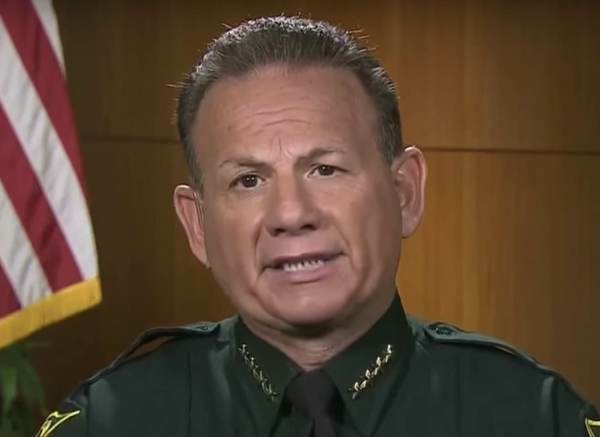 All the internal investigations occurred under embattled Sheriff Scott Israel’s watch, whose office is now under investigation for allegations that his deputies failed to allow first responders from treating patients at the scene of Stoneman Douglas High School shooting on Feb. 14, and that multiple deputies failed to enter the school to defend the children during the rampage that left 17 people dead, this reporter has learned. “Approximately 66 BSO (Broward Sheriff’s Office) deputies and other employees, including supervisory personnel were arrested for, charged with, and/or convicted of crimes that run the gamut from Armed Kidnapping, to Battery, Assault, Falsifying records, Official Misconduct, Narcotics trafficking, and other crimes involving dishonesty and violence in the years immediately proceeding 2013 when Jermaine was killed. Most of the offenses on the list occurred in the years 2012-2013,” according to court records filed by Schoen against Israel and the Broward County Sheriff deputy defendants. As The Gateway Pundit reported, Israel was accused in 2016 of using ‘amorous’ women to illegally entrap African-American men. In a deposition, Israel even admitted the VIPER unit (Violent Intervention Proactive Enforcement Response), which ‘entrapped’ Hilaire, “basically entrapped people via a ‘hotel method,’” says reporter Alex Rubinstein. Florida House Speaker Richard Corcoran and “nearly every Republican House member” is demanding Gov. Rick Scott (R-FL) suspend Israel. In the meantime, Gov. Scott has ordered the Florida Department of Law Enforcement to probe local police’s response to the shooting. Israel is currently investigating why Scot Peterson, the former Marjory Stoneman Douglas High School, failed to act as gunman Nikolas Cruz shot dead 17 people in Parkland, Florida. J. Christian Adams, a former federal prosecutor, through his work with the Public Interest Legal Foundation, is leading an effort to expose the extent of aliens voting in federal elections. For unexplained reasons, the officials are stonewalling release of official data. It appears that they have evidence already that should alarm everyone concerned with election integrity. This had far more influence than any Russian ads on Facebook. February 26, 2018: The Public Interest Legal Foundation (PILF) filed a lawsuit today against the Pennsylvania Department of State for failing to disclose a reported 100,000 noncitizen registered voter records under federal law (PILF v. Torres et. al. 1:18-cv-00463). In summary, the Pennsylvania Department of State (DOS) refused the PILF‘s rights to inspect or be furnished documents related to noncitizen registered voters either reporting their own unlawful activities or discovered thanks to a joint study with the Department of Transportation (PennDOT). 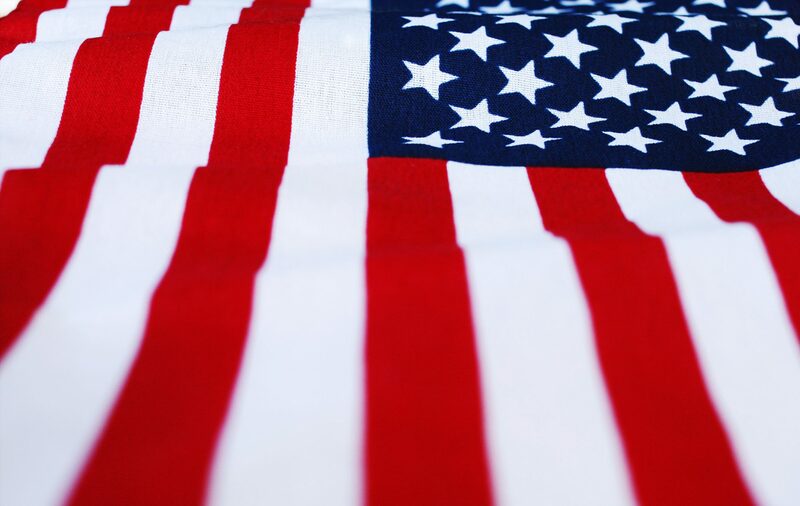 The latter effort has reportedly revealed 100,000 cases of noncitizens currently registered to vote in the Commonwealth. The DOS’ actions constitute an apparent violation of the National Voter Registration Act of 1993. A core concern for the lawsuit stems from a report by City of Philadelphia Commissioner Al Schmidt to the Pennsylvania Assembly in 2017, which detailed how a DOS/PennDOT study of noncitizen driver’s license holders matched records belonging to roughly 100,000 current voters in the statewide registration database. The DOS/PennDOT study was triggered in September 2017 after Pennsylvania officials admitted to a “glitch” that offered voter registration opportunities to all PennDOT customers regardless of citizenship status since the 1990s. Prior to the study, election officials only took actions to remove ineligible noncitizens from the rolls after they self-reported their statuses. A full accounting of how many registered and voted remains unclear due to the DOS’ intentionally limited transparency. Beginning in October 2017, the PILF began a formal dialogue with the DOS to inspect records related to noncitizen voter registrants. Requests were rejected twice, despite making them pursuant to Section 8 of the National Voter Registration Act (NVRA). The NVRA allows unfettered physical inspection rights to all records related to voter list maintenance. In December 2017, the PILF notified the DOS of its apparent violation of the NVRA. The lawsuit filed today seeks to compel inspection of the aforementioned records. 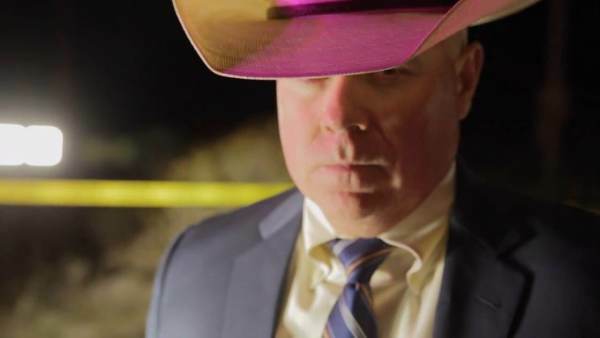 According to report from RedState, a deeply embedded system of public corruption at the sheriff’s department may be to blame for the murderous shooter slipping right through the sheriff department’s fingers. Do you think there was deep corruption in this sheriff’s department? Scroll down to comment below! 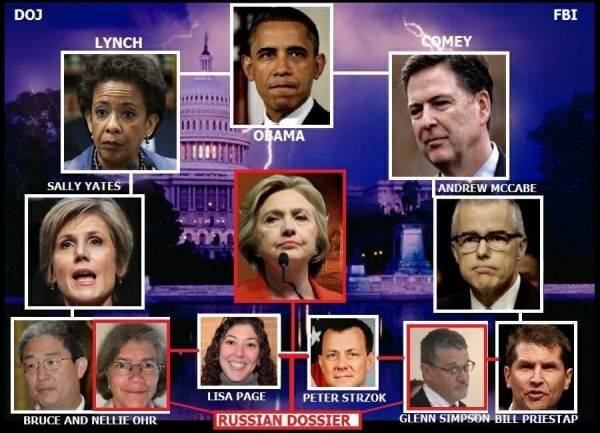 Attorney General Jeff Sessions told reporters on Tuesday the Department of Justice will open an investigation into FISA abuses after Obama’s FBI, DOJ used Hillary’s phony dossier to obtain a FISA warrant to spy on Trump’s camp during the 2016 election. Sessions said Inspector General Michael Horowitz will be taking on the investigation. Sessions said an investigation it is the “appropriate thing” to do so, and that his department’s inspector general “will take that as one of the matters he’ll deal with.”Sessions told Fox News on Sunday the FISA process will be investigated, and White House Press Secretary Sarah Huckabee Sanders said Tuesday that this move will be supported. On February 2nd, the House Intel Committee led by Chairman Nunes released their classified FISA memo. The 4-page FISA memo revealed the phony dossier formed an essential part to obtaining the original FISA warrant and the three subsequent renewals. We also found out the political origins of the dossier were known to the FBI and DOJ yet kept from the FISA court. Former Deputy Director of the FBI Andrew McCabe also testified that if not for the dossier, the FBI would never have sought the FISA warrant on former Trump campaign advisor Carter Page. Ranking member of the House Intel Committee Adam Schiff has been in panic mode since Chairman Nunes discovered the FISA abuses and unmasking scandal. On Saturday, Schiff released his Dem spin memo only to have Chairman Nunes crush him with a point by point refutation. The investigation into the FISA abuses better not be a sham like the FBI’s pathetic investigation into Hillary Clinton’s use of a private server. Several hundred high school students staged a walk-out protest on Friday. 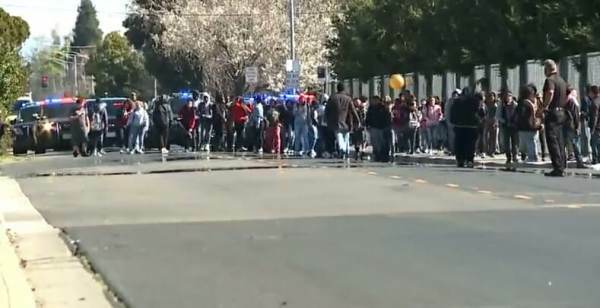 Students from Stagg, Edison, Chavez, Lincoln and Village Oak high schools walked out of class and in the streets creating traffic problems in the area as most streets were blocked off. At least five students at the anti-gun protests were arrested. 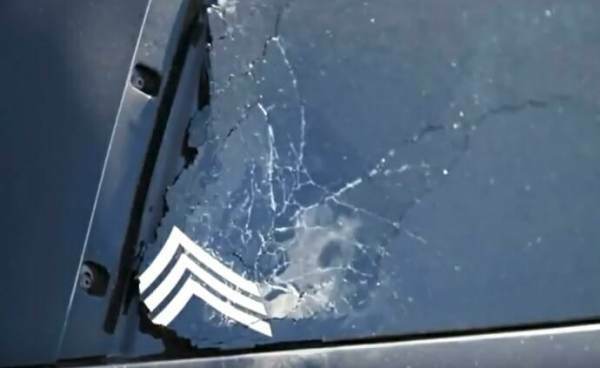 The angry students were charged with battery on an officer, resisting arrest, taking an officer’s baton and vandalizing vehicles, including patrol vehicles, Stockton police said. The student mob threw rocks and damaged both police and citizen vehicles. It was a peaceful protest on a Friday afternoon. Sen. John N. Kennedy (R., La.) said on Tuesday during an appearance on CNN that America needs greater "idiot control" instead of more "gun control." Kennedy, Louisiana’s junior senator who has developed a reputation for his colorful use of colloquialisms since coming to Congress in 2017, was on "CNN Newsroom" to discuss his opposition to any new gun control measures being pushed in the wake of the tragic school shooting in Parkland, Fla. earlier this month. The shooting, which left 17 dead and countless wounded, has reignited the national conversation surrounding gun control. CNN’s John Berman asked Kennedy about his opposition to a bipartisan measure being championed by Senate Majority Whip John Cornyn (R., Texas) that would strengthen the information reporting process between state and federal agencies to better identify who is and isn’t eligible to purchase firearms. "I don’t think we need more gun control laws," Kennedy said. "No," Kennedy affirmed. "I think we need more idiot control." Cornyn’s legislation, S. 2135 or the Fix National Instant Criminal Background Check System (NICS) Act, has taken on new importance since Congress came back into session Monday. The bill aims to increase the efficiency of federal and state agencies in reporting criminal offenses and other pertinent background information to the National Instant Criminal Background Check System (NICS) database. The NICS database, which is run by the FBI, determines if an individual meets the requirements for firearm ownership. The bill rewards agencies in compliance with the measure with greater federal funding while penalizing those that are not. When pressed about who he classified as "idiots," the senator explained he was referring to those who commit crimes like the mass shooting in Parkland but not to those who are mentally ill. Kennedy acknowledged that in those cases, he might "misuse" the term. He argued that there is, however, too often a jump to assume all mass shooting perpetrators are mentally ill when they might just be "evil." Kennedy specifically cited the fact that many have been quick to say the Parkland shooter was mentally ill but no one has been able to confirm he was for sure. "I don’t know that, so I will call him an idiot," Kennedy said. The post GOP Senator: We Need ‘Idiot Control,’ Not ‘Gun Control’ appeared first on Washington Free Beacon.